On March 11th, 2019, the International Provisional Representative of the Free Territory of Trieste – I.P.R. F.T.T. has sent an official note to the Italian Government protesting the illegitimate inclusion of the international Free Port and the customs port of Trieste in the current political-economic negotiations between Italian Republic and the People’s Republic of China. If the Italian Government does not exclude Trieste from the negotiations, the I.P.R. F.T.T. is going to prevent the enforcement of any such agreement by summoning the administering Italian Government before Court. In case it proves necessary, the I.P.R. F.T.T. is also requesting the activation of the international procedures for the settlement of disputes concerning the interpretation or execution of the 1947 Treaty of Peace with Italy. The protest note is published here. Diplomatic protest of the I.P.R. F.T.T. The I.P.R. F.T.T. addressed a protest note to the President of the Council of Ministers of the Italian Government, to the President of the Italian Republic, and to the President of the European Commission following Italian revanchist demonstrations held on 10 February 2019 against Slovenia and Croatia. Trieste, 4 December 2018. – Trieste and its international Free Port should be exempted from the Italian Value Added Tax – VAT (Imposta sul Valore Aggiunto – IVA). Just like San Marino and Vatican City, Trieste is legally a foreign Country, even if its administration is sub-entrusted to the Italian Government under a special trusteeship mandate. This is stated and argued in the 24 pages of the Writ of Summon (published in the documents section in English and in Italian) in legal action No. 4277/2018, pending before the Court of Trieste, initiated by the International Provisional Representative of the Free Territory of Trieste – I.P.R. F.T.T. and notified to the Italian Government, the Italian Ministry of Economy and Finance, the Tax Revenue Office, and the Customs and Monopolies Agency on November 21st, 2018. On the same legal bases, and with the support of nearly 600 citizens and enterprises, the I.P.R. F.T.T. has already opened, before the Court of Trieste, civil lawsuit No. 1757/2017 vs. the Italian Government, for the determination of the whole system of taxation applicable to the Free Territory and to its international Free Port. At the same time, the I.P.R. F.T.T. has opened before the Court of Trieste civil lawsuits No. 941/18 and No. 2370/18 regarding State ownership of the international Free Port and of other public assets within the Free Territory. The four legal actions have an economic value of several billion Euro, and a relevant strategic importance for the development of international trades through Trieste, especially to and from the Countries of South-Eastern Europe that are part of the Three Seas Initiative. On March 26th, 2019, the International Provisional Representative of the Free Territory of Trieste – I.P.R. F.T.T. has sent an official note to the Italian Government protesting the agreement signed in Rome by the President of the Italian Port Authority in Trieste, Zeno d'Agostino with China Communications Construction Company - CCCC on March 23rd. The protest note explains the grounds of absolute illegitimacy of the agreement signed by that Port Authority and requests the administering Italian Government to take all measures needed to restore the rule of law in the management of the international Free Port and of the customs port of the present-day Free Territory of Trieste. Otherwise, the I.P.R. F.T.T. is activating all needed legal defences. Stay connected with the I.P.R. F.T.T. The Free Territory of Trieste - F.T.T. is established and recognized since 15 September 1947 as a Member State de jure of the United Nations, under the aegis of the Security Council and with an international Free Port by virtue of Resolution S/RES/16 (1947) of the Security Council and of the Treaty of Peace with Italy signed at Paris on 10 February 1947, and with the successive territorial changes occurred with Security Council Resolutions S/RES/753(1992) and S/RES/754 (1992). 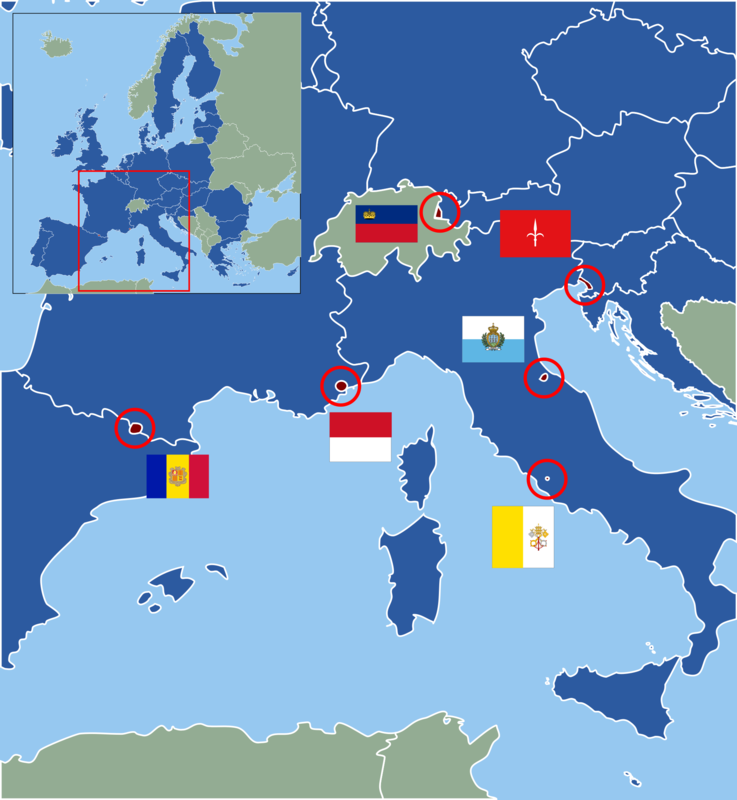 Therefore, the Free Territory of Trieste is one of the eight micro-states of Europe, along with Monaco, Liechtenstein, Luxembourg, San Marino, Vatican City, Andorra and Malta. It has an established tradition of independence since the XIII century, confirmed through half a millennium of voluntary connection with Austria (1382-1918), interrupted by 27 years of Italian occupation and annexation (1918-45) and restored by the Treaty of Peace of 1947. Content: synthesis of the current legal status, of the commercial and financial advantages, as well as of the strategic roles of the Free Territory of Trieste as independent, Euro-Mediterranean micro state without public debt, equipped with an international Free Port, free in term of taxes, banking, insurances, holding rights to mint or issue its own currency, to have its own stock exchange, naval register and aeronautic register. The Free Territory of Trieste - F.T.T. is established and recognizes since 15 September 1947 as a Member State de jure of the United Nations, under the aegis of the Security Council and with an international Free Port by virtue of Resolution S/RES/16 (1947) of the Security Council and of the Treaty of Peace with Italy signed at Paris on 10 February 1947, and with the successive territorial changes occurred after Security Council Resolutions S/RES/753(1992) and S/RES/754 (1992).